A brief history of Doncaster. Doncaster, or Danum as it was named by the Roman settlers, was chosen as a northern outpost because of its geographical location. Being central in England and situated right in the centre of the main trading routes it was the perfect setting both for trade and defence. Although the Romans were responsible for the early success of Doncaster it had been an important settling place since the iron age. The archaeology of the region proves that fact and it has been said by learned men that if the archaeology of Doncaster were celebrated as much as York celebrates its, then Doncaster would be the better of the two. The original purpose of this site was to make and keep available the information and finding of archaeologists and historians that was so readily available via the Doncaster Archaeological and Historical Society (DAHS). However, although this site has achieved that it has gone on to become arguably one of the best sites in Doncaster for its niche subject. 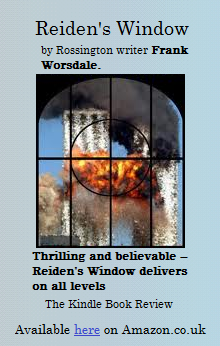 The content of this site is sometimes taken from publications that were released a great many years ago. This is intentional as it gives an interesting slant when compared with what we know today. Usually, with the advancement of science and better archaeological techniques, the theories of yesterday are way off the mark but I still think they are important documents to look back on. I have tried to be as accurate as possible with my research and the facts. That said, it is inevitable that some mistakes are made. I am relying on you to spot them and to inform me so that they can be rectified, the last thing I want is to be giving out false information. This entire site is provided free of charge and a great deal of research and work has gone into making it available. You may notice that at strategic points throughout the site we are raising money for charity, if you would like to donate something you can do so by clicking the donate button here. Top Tip – If the page you are viewing contains rather a lot of text and you know exactly what you are looking for then you can use your keyboard to search the page for relevant phrases. Simply press Ctrl and F together to bring up a search box. (Command F if you are using a Mac). 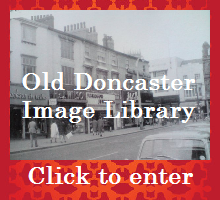 …….and finally, if you are on Facebook please like and follow the Doncaster History page by clicking here. Covering Cusworth, Hexthorpe, High Melton, Barnburgh, Hickleton and more. Enter your email address to subscribe and receive notifications of new events and relevant information by email. All donations go to local charities.